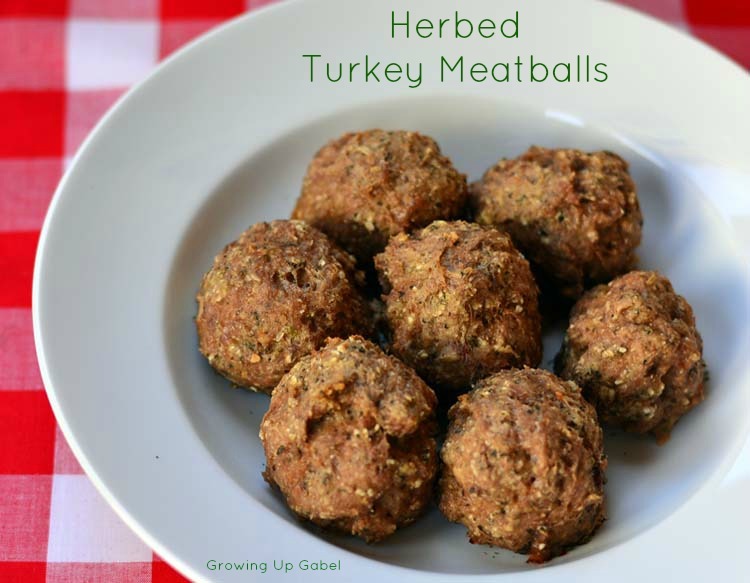 Herbed Turkey Meatballs made with McCormick Spices are great to keep in the freezer for a quick and easy family dinner. Meatballs are one of my favorite freezer staples. I try to keep a nice big bag of meatballs in the freezer. I use them in Italian Wedding Soup, Swedish Meatballs, and of course spaghetti with Sicilian Marinara Sauce. 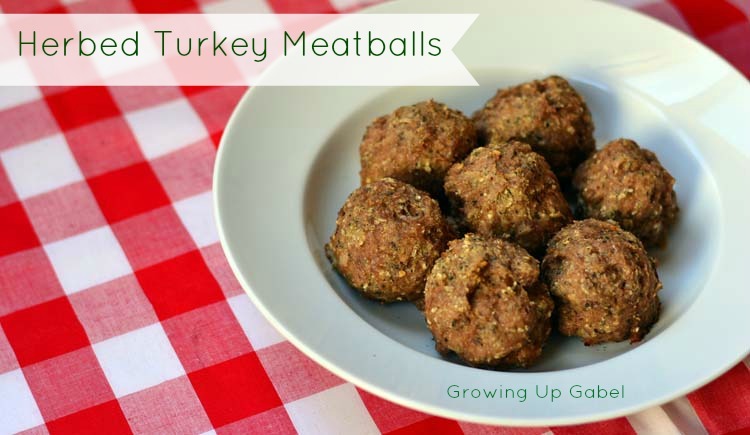 I recently started using less beef and more turkey when cooking so I needed a turkey meatball recipe. 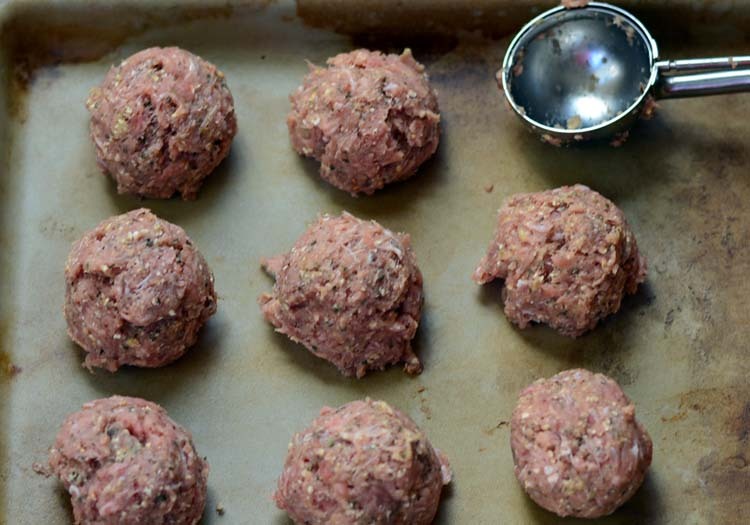 I found just what I was looking for on McCormick.com – Herbed Turkey Meatballs. The Herbed Turkey Metaballs included all my favorite McCormick spices – oregano, basil, pepper, of course, garlic. The spices gave the meatballs great flavor. I love that the meatballs are baked and not fried. Not only is it healthier, but it takes less time to cook them as well. I used a cookie scoop to make my meatballs. I'm not a big fan of rolling meatballs and find that the cookie scoop works just as well. I did make my meatballs bigger than the recipe suggested because we like ours larger so I get fewer meatballs out of the recipe, which was just fine with me. The Herbed Turkey Meatballs were fantastic! I doubled the recipe so I would have extras to freeze for later. How would you like to win a fun McCormick Gift Set to help you get a Homemade in America dinner on the table? In order to enter the giveaway, just leave a comment on this post and tell me what your favorite McCormick spice is then enter your information in the widget below! TERMS & CONDITIONS: Giveaway is open to US Residents only, ages 18 and over and ends at 12:00 AM EST on October 14, 2013. By entering you give the right to use your name and likeness. Number of entries received determines the odds of winning. Approximate retail value is unknown. One winner will be selected. 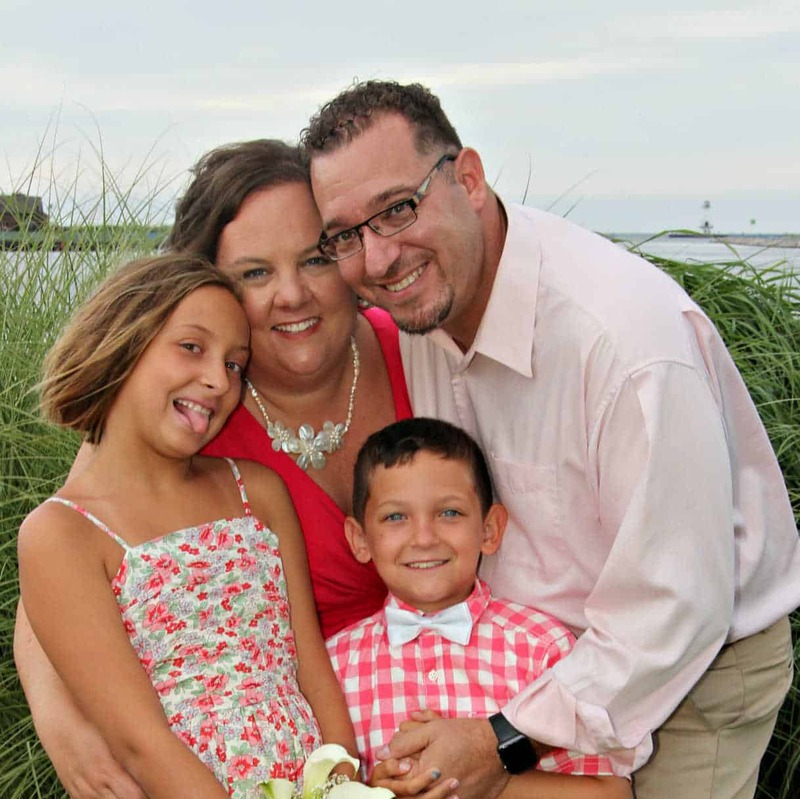 All liabilities and responsibilities with product is directly responsible by McCormick. Winner will drawn by random.org from all verified entries, contacted by email provided, and announced on this page at the end of the contest. Winner has 24 hours to respond or prize will be redrawn. Entrant is responsible for the email address they provide, whether through typing it directly or through the Facebook entry method. 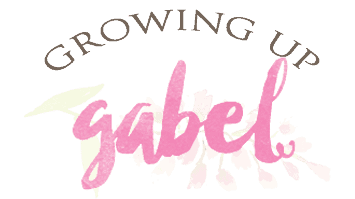 Growing Up Gabel is not responsible for lost or misdirected emails. All prizes will be awarded. No prize substitutions allowed. This promotion is in no way sponsored, endorsed, administered by, or associated with Facebook and we hereby release Facebook of any liability. Information is provided to Growing Up Gabel, not to Facebook and your information is never sold or shared. Prize is awarded by McCormick Spices and may require confirmation of delivery. Protected tweets do not count as an entry method for tweeting. Tweets must come from a public account. No purchase necessary. Void where prohibited by law. I use freeze-dried chives alot. pumpkin pie spice is great for pumpkin treats! I have two favorites, one is their Grill Mates Montreal Steak Seasoning and the other is their Salad Supreme seasoning. I like to cook with Sliced Garlic. Oregano! I use it so much. I love their garlic powder…I use it in EVERYTHING!! Adding this to my giveaway board! 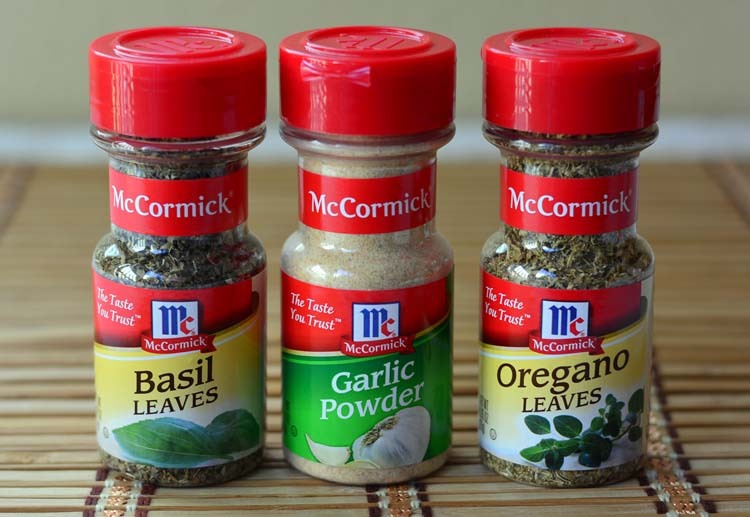 I am a big fan of Oregano and shake my McCormick’s Oregano Leaves on almost every savory item I eat to includes salads, soups, meat dishes, etc. I love almost all spices out there, but Oregano is definitely in my top three! One of my faves is Garlic Powder! Right now my favorite is the italian blend because I have been making my own marinara sauce with it. I use McCormick Garlic Powder the most. I love McCormick’s Italian seasoning, as well as their crushed red pepper flakes. I really like to cook with paprika, its such a nice spice. Love McCormick spices! So hard to choose one since all of my spices are McCormick and used regularly. I guess I love their Italian blend most!